Product prices and availability are accurate as of 2019-04-20 09:19:37 UTC and are subject to change. Any price and availability information displayed on http://www.amazon.com/ at the time of purchase will apply to the purchase of this product. Check out this Ed Belfour Dallas Stars Signed Hockey Puck which has been hand signed by Dallas Stars star, Ed Belfour. Item comes complete with a tamper-evident hologram and matching Certificate of Authenticity. Product is backed by our 100% Money Back Guarantee. 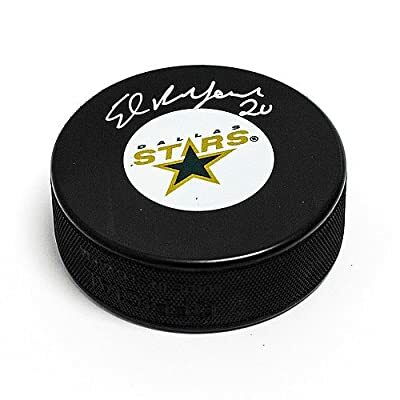 Sports Collectibles Online offers authenticated NHL Memorabilia signed by Dallas Stars legends.